or 4 payments of $7.13 with Afterpay. Does NOT include cost of shipping. 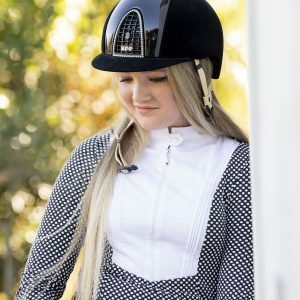 This long sleeve open weave spot show shirt is a striking shirt on its own but also looks amazing under a hack or jumping jacket. 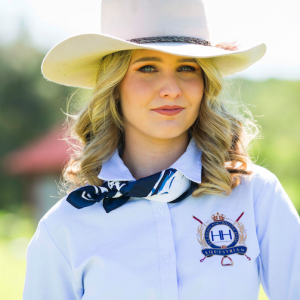 Featuring a front zip and pearl button it is a great shirt to wear everyday for sun protection or for a classy look in the ring.